The beats of Drake, Kendrick Lamar, and Kanye West filled the air of the Pritzker auditorium, in Chicago’s Harold Washington Library, as hundreds of high schoolers filed in on Monday night. Sitting cross-legged on the stage in jeans, an ‘Open Mike’ staff t-shirt, and his signature White Sox hat sat Chance the Rapper, signing students up to perform poetry, rap songs, and dance performances in front of their peers. You would never know that the Chicago rapper, who handily sells out concert venues, was fresh off the set of Saturday Night Live—here, he was just another artist helping others express themselves. It is the 10th Open Mike that Chance, 22, and his friend and fellow Chicago artist Malcolm London, 22, have organized for young creatives in their hometown of Chicago--an idea that was born roughly one year ago after the unexpected death of their mentor and YOUmedia coordinator, 38-year-old Mike Hawkins. “Brother Mike, was a pillar in the city and a mentor. When he passed away and was taken from us early, we wanted to let his legacy live on.” London said. At Open Mike, which officially launched in February and is only open to high school students, young artists perform spoken word, songs, dance, and poetry addressing issues ranging from a high school crush and what it means to be beautiful to commentary on sexual consent, gun violence, and sexuality. During Monday night’s performance, many artists referenced the 16 shots that killed Chicago teen Laquan McDonald. “I hope what we’re giving young people is a space to talk about these issues in a way that allows them to say what they want to say, and not be judged while they’re doing it.” London said. The most important, and only, rule of Open Mike is respect. “We want to create that same safe space here. We want you to come speak your minds clear and unedited, but the most important thing is this is a place of respect and a place of love.” Chance told the crowd. The importance of a safe space for expression is not lost on the young rapper. “It is hard, this isn’t the Apollo, this isn’t the Grammys, this isn’t a big stage, this is where artists come in to hone their creativity,” the rapper added. The monthly forum has caught the eye of some of Chance’s famous friends and idols such as Kanye West, who surprised the crowd with a performance in May, but it is important to the rapper and London that the event is not about fame or celebrity, but about mentoring young people who want to learn how to share their thoughts in a city that they feel does not always put their needs first. For Imani Hardy, 18, who grew up in Chicago’s Englewood neighborhood and now attends an alternative high school in North Lawndale on Chicago’s West Side, Open Mike is one of the things he cherishes most in the city. We want you to come speak your minds clear and unedited, but the most important thing is this is a place of respect and a place of love. “It means a lot to me because when you are growing up in these neighborhoods and you see violence and police brutality—and I’ve seen police brutality and violence with a front row seat—when you’re going through this, you need someplace to go and get away every once and while,” Hardy said. At Open Mike, Hardy pays close attention to Chance and London as mentors and appreciates the change he feels they are making in the city. “This is the prime example of positive things going on in the city, it is someone from the city giving back,” he said. “Chance is a busy guy, him and his staff don’t have to do this, but they do, and I feel like this needs to be known because the only thing in the news is negativity—no one talks about the positive things Chicago has to offer,” he said. Singer Christian JaLon, 18, sees art as an overlooked form of activism that the city needs. “Hearing about Laqaun McDonald, being part of the protests, and growing in my activism, it is very stressful not just physically, but mentally and emotionally, and being as young as I am, it weighs on my heart,” she said. Eventually, London says that he hopes some of the artists who have become regular performers will want to take over Open Mike for themselves, but that he and Chance will never stop working to make change in the city that made them. “We want to give back what we got growing up. We had artists like brother Mike and Kevin Coval who saw the need to give back.” London said. Tracy Jarrett is an award-winning digital reporter for NBC News. She started this role in September 2013 after completing the News Associates program where she contributed to Dateline, Nightly News, TODAY and nbcnews.com. 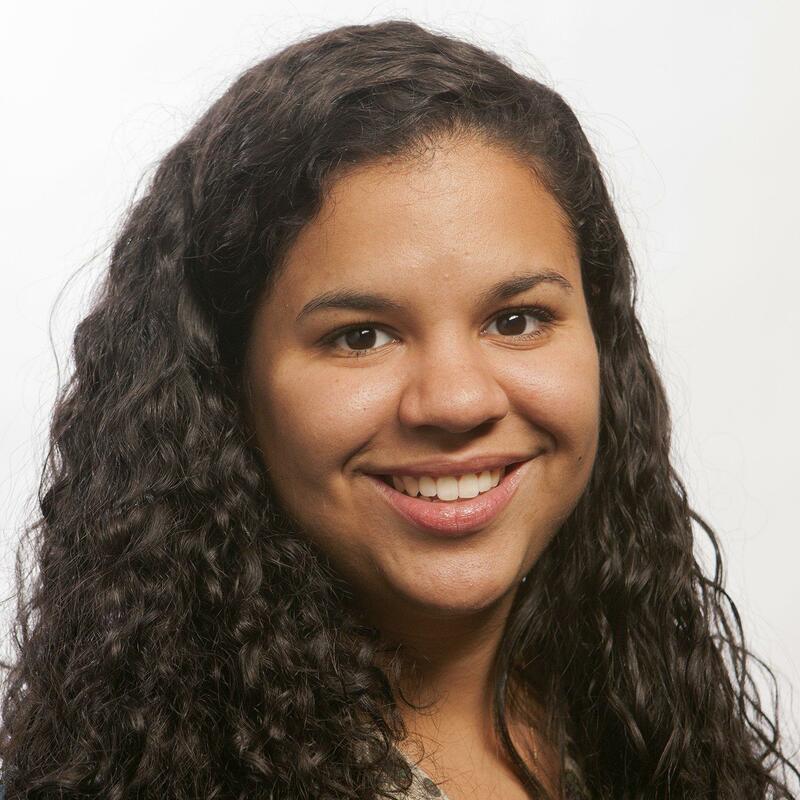 Jarrett joined NBC after completing a GlobalPost-Kaiser Global Health Reporting Fellowship where she traveled to South Africa to report on women living with HIV. Jarrett's work with NBC and GlobalPost has allowed her to participate in international fellowships through the International Center for Journalists and the UN Foundation. Jarrett graduated from the Columbia School of Journalism in 2012 and Amherst College in 2011.